Warmer days are upon us and while we look forward to spending our days drinking on the patio or relaxing at the pool, summer is the most opportune time to improve your business’s visual content, specifically photography and video. Having great visuals isn’t an option anymore, it’s necessary for any successful content marketing plan. In fact, visuals are 40x more likely to get shared on social media than other types of content. Here are a few ways you can improve your visual content this summer. Ask any professional photographer and they will tell you that the best tool for taking great photos is natural light (and it’s free!). Since the days are longer in the summer, this gives you ample time to take photos. However, you should aim to take your photos during the “Golden Hour” which is one hour after the sun comes up and one after the sun goes down. It’s soft, warm and dimensional which leaves you with a great-looking photo. #NoFilter needed. Summer in a big city like Chicago only means one thing: Festivals. Since warm weather is here for only a short amount of time, you want to make the most of it. It’s also a great time to take advantage of cool photo-ops for Instagram or gather stock imagery for future content. The key is to plan ahead. Pick a few festivals you want to attend every month and figure out exactly what you want shoot by creating a “shot list” of items. This will help keep you on track and assess what you need to amplify your visual content. With video content representing 74% of internet traffic, there is no denying that this is the year of video. There is a lot of action in the summer, so it’s a great time to hone in on your videography skills. Also, don’t feel like you need to invest in thousands of dollars worth of video equipment. 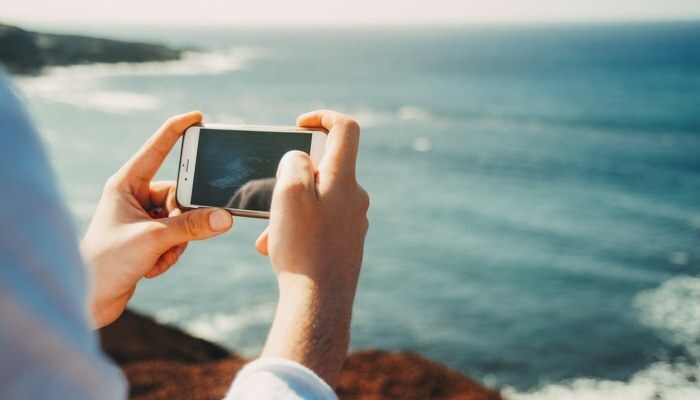 Most smartphones are capable of taking high-quality videos and there are plenty of affordable video-editing apps that you can download on your phone. While you’re getting ready to hit up the beach this summer, don’t neglect your content marketing plan. The warm weather presents favorable opportunities to enhance your business’s visual content. In addition to top-notch photos and videos, here’s how to create distinctive infographics. Since launching in 2003, LinkedIn has become the largest global professional network with more than 460 million people using the platform. While LinkedIn is a great networking tool for professionals, it is also becoming extremely useful for many brands and their advertising needs. These days, most social media platforms offer advertising for their users, but LinkedIn stands out from the crowd because of its targeting capabilities to select exactly who you want to see your advertisement. If you are ready to grow your brand, here is what you should know about LinkedIn ads. What is a LinkedIn Ad? There are two ways you can advertise on LinkedIn: self-service ads and managed campaigns. 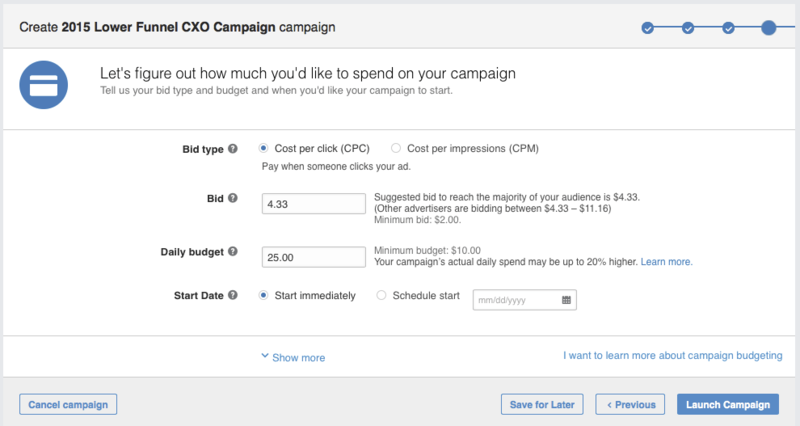 With a self-service ad, you can set your own budget, choose clicks or impressions and pause your ad at any time using Campaign Manager. Formats available for self-service ads include Sponsored Content, Sponsored InMail and Text Ads. 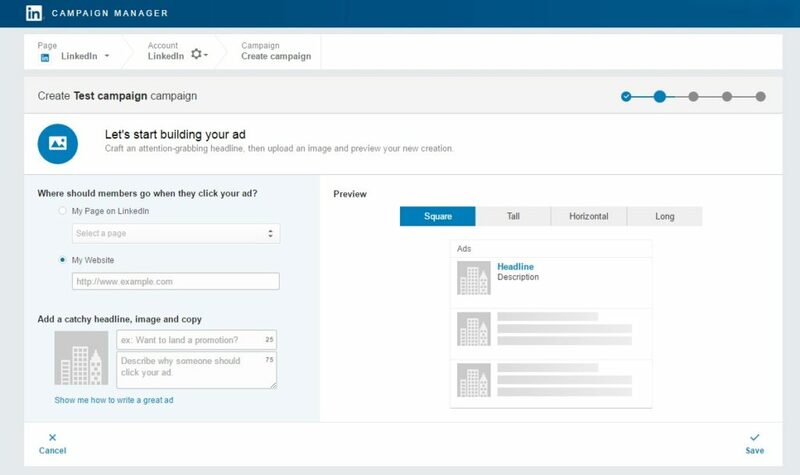 Managed campaign ads allow you to partner with a LinkedIn team to create an ad for premium audiences. Formats that are available for self-service ads include Sponsored Content, Sponsored InMail, Dynamic Ads and Display Ads. The best part about LinkedIn is its unique targeting options. Since LinkedIn users input more information than other social media platforms, you can create highly-targeted ads by industry, job title, LinkedIn Groups, skills, etc, which makes it extremely useful for B2B marketing. Below are steps to create a self-service ad. For managed campaign ads, you will need to contact LinkedIn’s Marketing Solutions team. In Campaign Manager, choose the account you would like to use to set up an ad, then click the ‘Create Campaign’ button. Once you’ve created your ad, you can see a preview before saving. Once you approve, select the content you want to promote within your campaign and click the ‘Sponsor Selected’ button. Click ‘Next’, and add your landing page URL and optional banner image. If you chose to create a Text Ad, you can start creating your ad. Choose where members should go when they click your ad. It can be your page on LinkedIn or a specific page on your website. Add your image, a headline (up to 25 characters) and a description (up to 75 characters). As you create your ad, you will see a preview on the right side of the page. 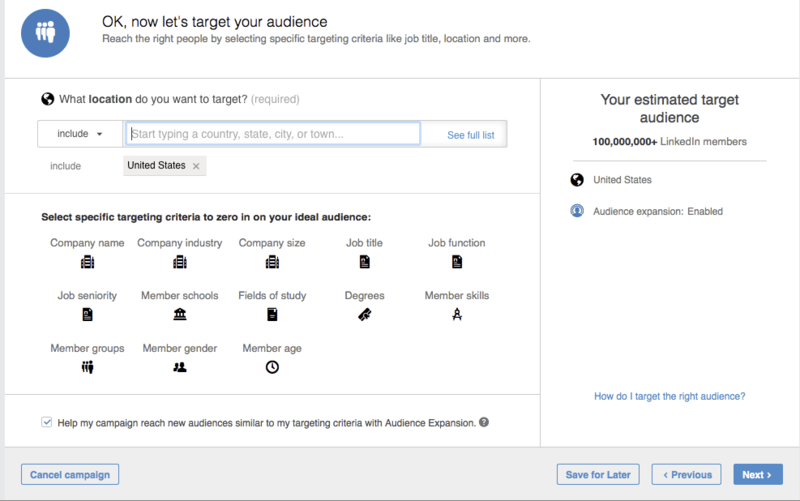 LinkedIn’s ad targeting provides a wide range of criteria for your to select your audience. When you select additional criteria, it will show you how each additional option affects your estimated target audience size in the right sidebar. Cost per send (CPS) – used when you run Sponsored InMail campaigns. You pay for each InMail that is successfully delivered. You will also need to input a suggested bid, daily budget, start date, end date and total budget. It’s important to note that LinkedIn uses an auction system for bidding that rewards engagement, which means you can win an auction without being the highest bidder. Once your ad is live, you will be able to see how it is performing in Campaign Manager. 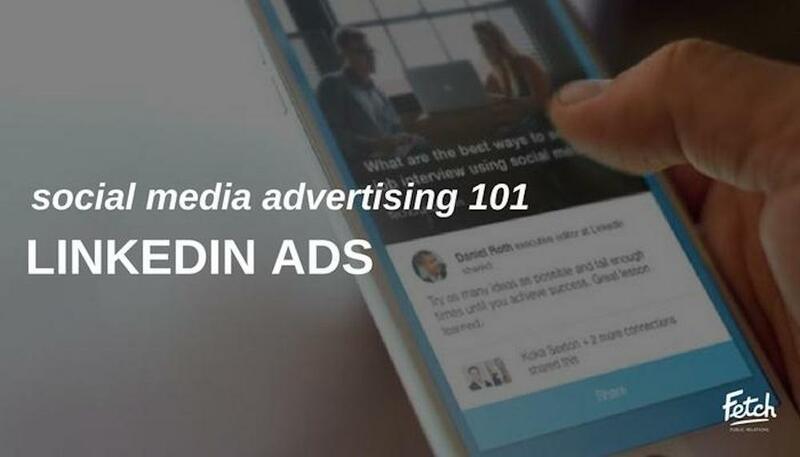 Being one of the fastest growing social media platforms, advertising on LinkedIn can be a logical next step after promoting content on Facebook. If you’re a business owner and anticipate hosting an event in the near future, it’s important to remember that planning is only half the battle. To truly guarantee a good turnout, you’ll need a solid promotional strategy. If you’re unsure of where to start, don’t fret! These three ways to promote your soiree are as easy as they are effective. Promoting your event online is a solid strategy since there are several outlets at your disposal. Sources like local newspaper websites, nightlife applications that list events nearby and even parenting sites. Having a presence on these platforms allows for increased local awareness of your organization’s event. One thing to keep in mind is that these services may not be as targeted as other venues, and your messaging should reflect this. If you don’t already have a Facebook page for your business, now would be a good time to create one. Social media, especially Facebook, is an effective avenue for promoting events because almost everyone uses it. 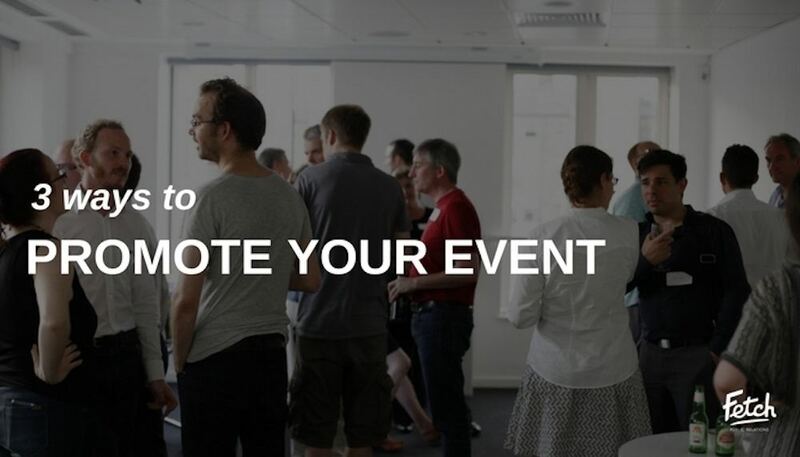 On Facebook, you can create an event, invite people and use the URL to share the event with your network on other social media channels like LinkedIn and Twitter. Tip: Create a branded graphic to catch the eye of potential event attendees. Free design services like Canva provide user-friendly templates for getting started. Be sure to keep your graphic content consistent with your brand style. It may also be worth considering a series of countdown graphics to the event. You could also send event invitations through an email marketing platform like Constant Constant Contact or MailChimp. With Constant Contact, not only do they provide templates for invitations, but they can also track event registrations in real-time. It’s important to remember that you don’t need to limit yourself to one form of promotion. Different platforms have different audiences, and utilizing a mixture allows for a more diverse audience. Assess which channels are best suited for your event, then get to work promoting your event. And if you plan on hosting an event or attending one soon, now is the time to brush up on your networking skills. However, it’s not enough to just say “I’m the best in the business” and not have evidence to support your claim. This is where “organic credibility” comes into play. It essentially encapsulates all of the desired effect that thought leadership provides for a PR campaign. 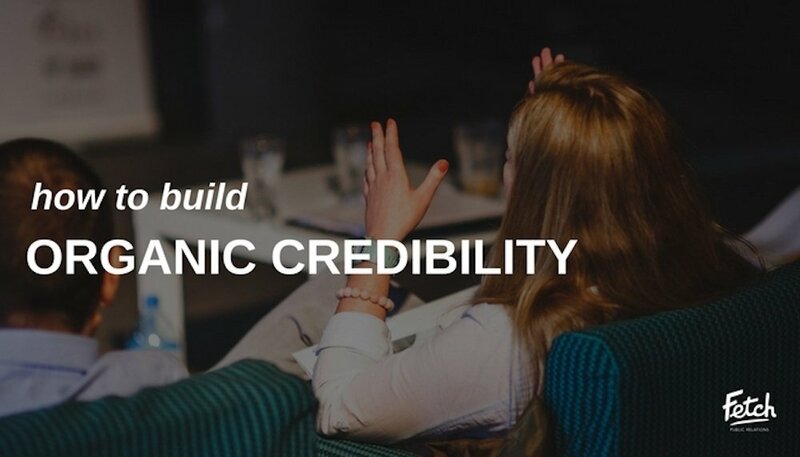 Here’s how you can build up your organic credibility. Owned media, such as your blog site, social media pages and website, are publishing properties you control. Essentially, your blog site and social media pages are an extension of your site and your site is an extension of your brand. It’s important to not treat your website as a landfill for content, but rather a refined and reputable source for new and recurring visitors. This means consistently working on your site so that it’s always visually up-to-date and full of crucial information. Shareable content can be thought-provoking, useful or funny, and can come in many forms like a blog, infographic or video. It’s also important to make sure you’re taking advantage of social share buttons when available. The purpose of social media for businesses is to bring you closer with your consumers. 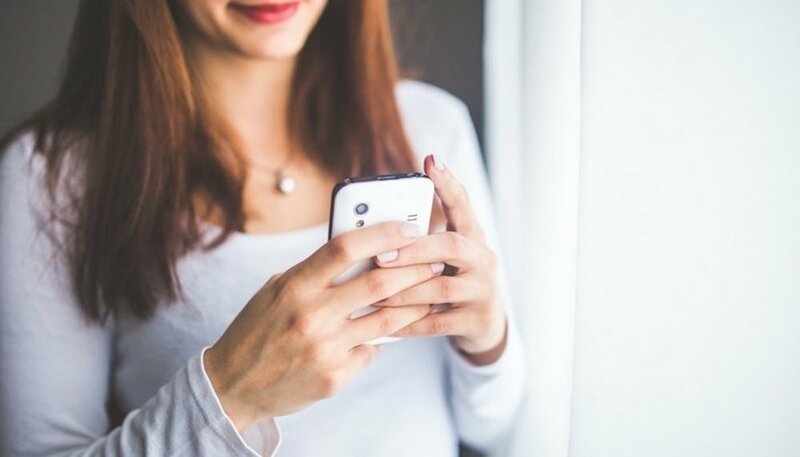 Luckily, there are plenty of social monitoring tools that allow you to track what customers are saying about your brand and also connect one-on-one. If you want to build loyalty with your customers, you need to go above and beyond their expectations. When your customers are happy, they are going to let their friends and family know, eventually leading to more business. Consumers trust earned media because it is publicity that isn’t controlled by the company itself. One of the missteps of most thought leaders is not effectively communicating with their target audience. The job isn’t over after you hit ‘publish’ on a blog or post an article on social media. Actively engaging with users on social media is a great way to build organic credibility because it shows your audience that you care and want to help them understand your business. Organic credibility not only tells your audience you’re an expert in your field, but also shows potential clients your proficiency. Overall, the goal is to showcase an individual’s or business’s enterprise in a palatable, informative way. A great way to start building your organic credibility is with a killer content marketing plan. Facebook is one of the strongest performing social media platforms for businesses. Advertising on Facebook can do wonders for your brand, such as increasing visibility and ultimately generating leads. 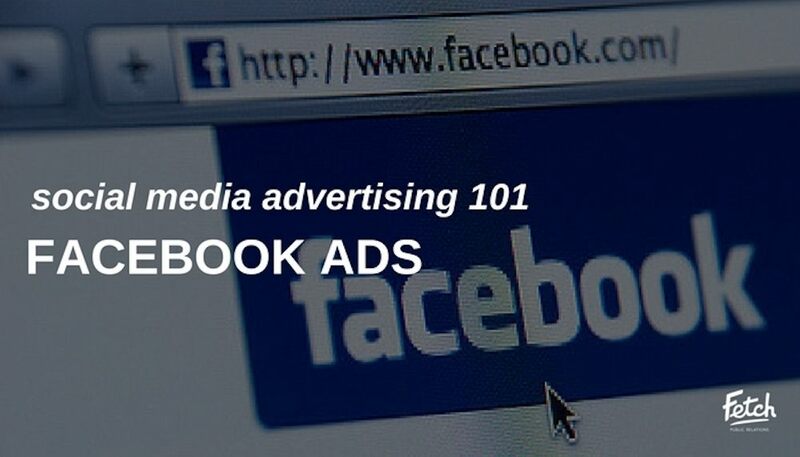 Whatever your goal is for your company, Facebook advertising can assist in accomplishing that. Here is what you should know about this marketing tool. Facebook advertising allows businesses to promote content with a clear call-to-action to a target audience. The ad usually appears in a Facebook user’s News Feed or along the right column. Over time, Facebook will gather data performance on your ads, which will help you create more effective advertisements in the future. If you already have a Facebook business page, follow the steps below to create an ad. This is a critical step when creating an ad on Facebook. You can set your ad to target based on age, location, gender, behavior and more. Once you create a target audience, you can choose how much you want to spend on your ad. You can set a daily budget, which is the the maximum amount you’ll spend each day. A lifetime budget is the maximum you’ll spend during the lifetime of your ad. Decide how you would like your ad to be displayed. You can choose from a single photo, a slideshow or a video. When you submit your ad, you will be redirected to Facebook’s ad auction. This process is intended to help get your message in front of the right audience. Check out this video to learn more about the ad auction. 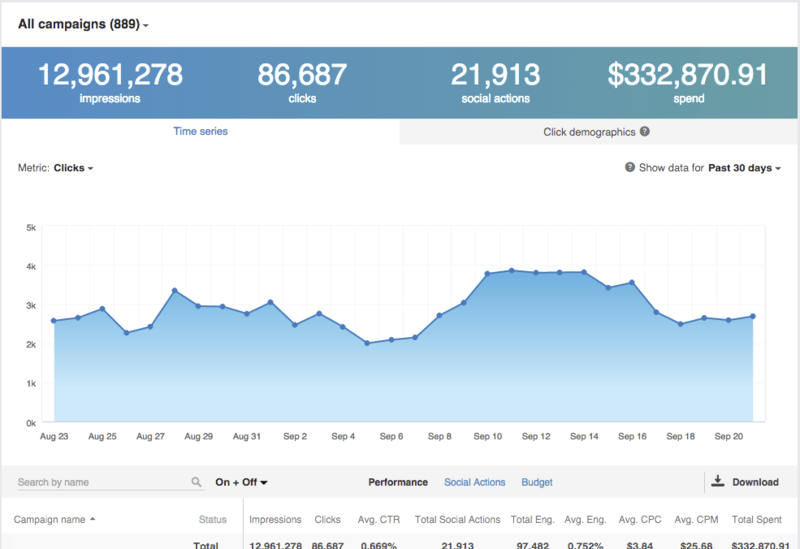 Once your ad is up and running, you can track its performance through Facebook Ads Manager. Within Ads Manager, you can see if one version of your ad is working better than another and make adjustments. The most significant benefit of Facebook advertising is being able to create a targeted audience based on demographics and interests rather than just what your audience searching for online. It’s also relatively cost effective, depending on what you choose to be your campaign objective. Regardless of the number of impressions and click-throughs you receive, Facebook ads are a great way to increase brand awareness and keep your business top of mind for your target audience. Ultimately, you want Facebook users to visit your website, but if it looks outdated and is unresponsive, don’t expect your audience to stay for long. Here’s how to keep your website fresh and relevant. 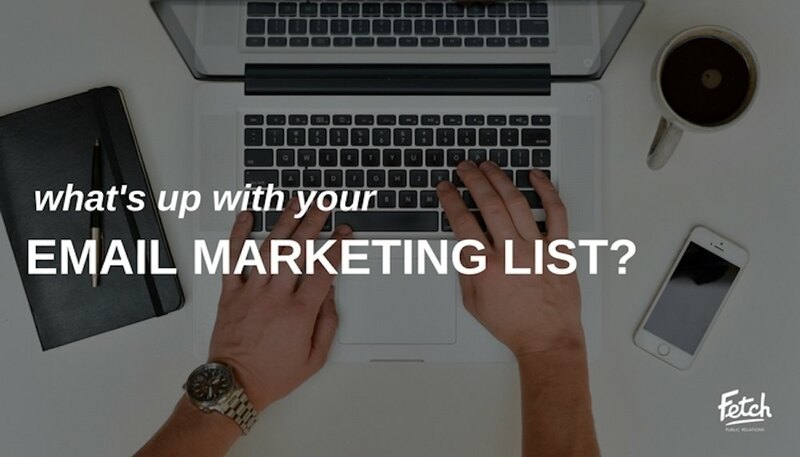 What’s up with Your Email Marketing List? A stellar email campaign is essential to growing your brand, and that includes continuously building powerful email lists. The job isn’t over after you upload all of your contacts at once and pack them into a single list. In fact, an email list degrades by about 22.5% every year. Here are a few tips on how to build effective, long-lasting lists for your email marketing strategy. In order to get people to sign up for your newsletter, make sure it’s easy and convenient for them to do so. Most people sign up through a website, so it’s a good idea to have a subscription form on the homepage where it’s visible. Depending on the top landing pages, there should be an opportunity to join your newsletter. While having a lot of contacts is great, it’s also important to have an effective email list. You should not pile all of your email addresses into one general list, but consciously funnel contacts into appropriate categories. When you send out a newsletter, you want to provide content that is relevant and meaningful to the people receiving the newsletter. This in turn will lead to higher open rates and more actions taken. Content marketing and social media have become some of the strongest tools for businesses, and have proven to be more successful in generating new leads, compared to generic paid advertising. For example, you can promote a piece of content on your Facebook page that requires an email address or add a call-to-action button for people to sign up for your newsletter. Tip: You can download contacts through LinkedIn and add them to your email marketing list. A great way to collect new emails is through good ol’ fashion in-person marketing. If you plan on hosting in an event, use an online registration form to collect email addresses. Be sure to send new contacts a welcome email with background information so they know who is contacting them. If you plan to attend an event, make sure to collect business cards and add contacts to your email marketing lists. Make a note in your calendar to go through your email lists every six months. It’s likely some contacts might need to be moved to a different list or new contacts need to be added. Consistently checking and modifying lists is vital to having a solid email marketing strategy. 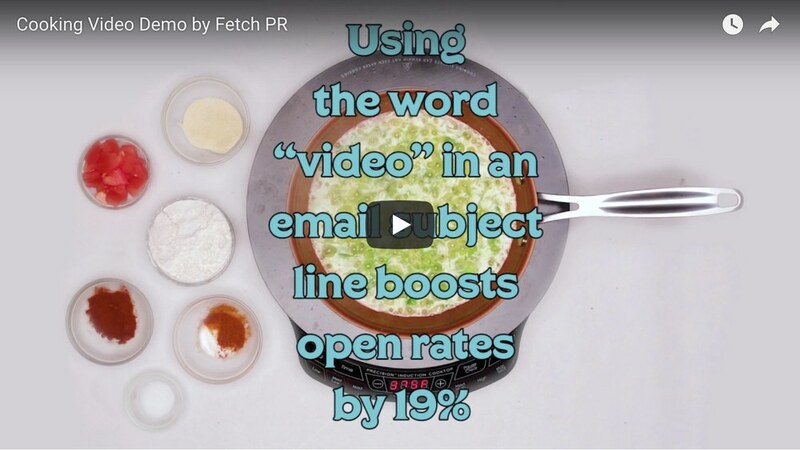 Want to know the secret to higher open rates for newsletters? Read our recent blog to find out. Check out our video below and learn a few helpful video marketing tips while we make étouffée! Click here to read more about how video can grow your brand. 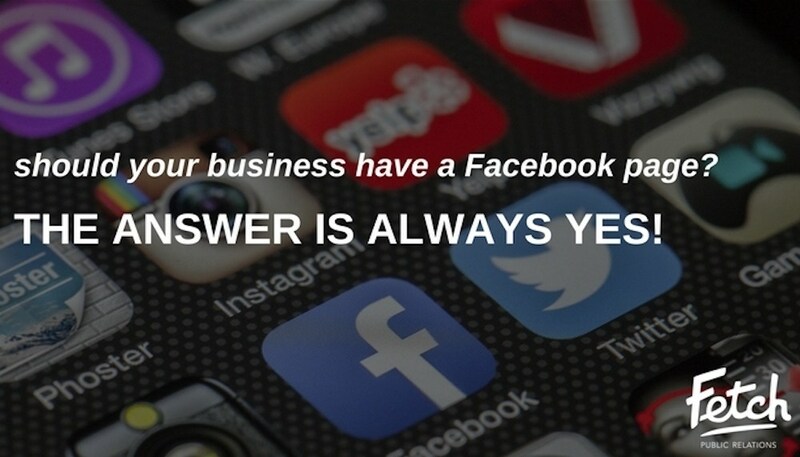 Should Your Business Have a Facebook Page? The Answer Is Always Yes! With 1.18 billion daily active users on Facebook, you can bet your target audience makes up a portion of the users. Luckily, with Facebook’s incredible targeting tools they are not that hard to reach either. Although Facebook has paid features, it is free to use. So, setting up a profile for your business will cost a little bit of time and can help you reach a huge potential audience. With an unfathomably large pool of users, Facebook is used as a primary news source for many and generates a significant amount of referrals. Similarly to the website of a business, having an active social media presence increases your SEO by making your brand more visible. Facebook is also another avenue of showcasing products, promotions and services to a potentially highly targeted audience. People who see your posts can often be taken directly to your website to purchase a product, effectively making Facebook a lead-generator. 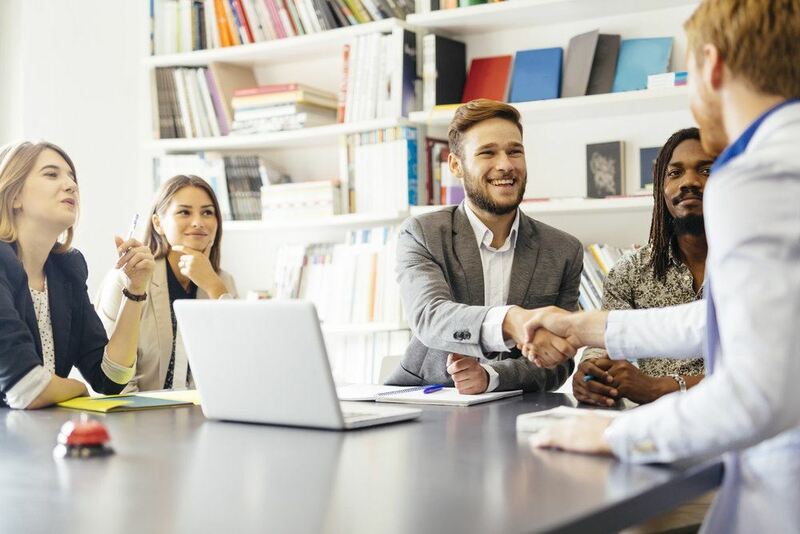 Not only is it fantastic for generating sales, but it is also the perfect platform for the voice of your brand and generating positive conversations among your customers. One of the greatest forms of advertising is the word-of-mouth recommendation — this is when a friend tells someone about a great new product or service. This type of referral already has trust built into the relationship, making the conversion rate much higher. The struggle for a business is that this is hard to control, but Facebook provides another microphone for your brand’s voice. To reap the maximum rewards of running a Facebook page for your business, you must be willing to commit the time to consistent posts. While Facebook is free, advertising on the social media giant is not. However, creating a highly target advertisement is very possible on Facebook. Advertising here is one of the largest and widely used avenues to advertise on. While results will vary from business to business, growing your audience on Facebook can become extremely rewarding. Advertising on this platform allows you to build a highly curated audience. That way your Facebook followers will all be potential customers allowing you to get the most out of your efforts. Facebook is a free opportunity to build a second, curated platform to deliver your content to your target audience. If you’re still not convinced you should have a healthy Facebook page, then remember that your competitors likely have one and are soaking in the full range of your target audience, competition-free. Facebook also provides exposure for your brand, allowing you to increase awareness and build relationships with your customers. Thanks to its highly in-depth and accurate targeting options, Facebook’s advertising platform becomes a must-use tool for any business. However, you shouldn’t stop at Facebook as there are other popular social media sites with strong benefits for your brand.